Do removable modular buildings take long to install? Are removable buildings environmentally friendly? Is the removable modular building a costy choice? How durable is a modular storage warehouse? 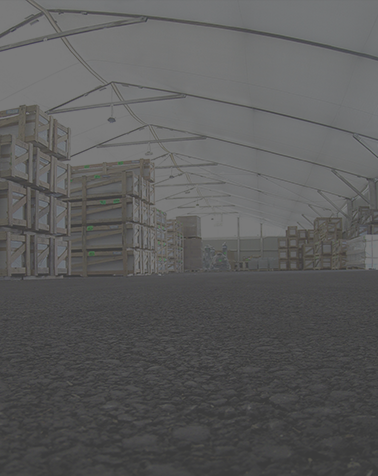 What types of surface is needed for a tent or a modular structure? Can I build a removable building on any ground surface? Why get ISO 9001 certified? Can a temporary and removable construction be modified? How to choose between buying and renting a modular building? Why choose Locabri to build your modular building? How to enlarge an industrial building while controlling costs? What temperature is applicable for my removable modular structure? Who are the users of modular buildings for storage use? Product recall: what impact does this have on your production line? My industrial building is at risk: how should I react? Is your production line wasting energy? Why instal a temporary construction on your site? Assemble and disassemble spaces, show and demonstrate trends. With 40 years of experience, Locabri will share its expertise, the latest in modular structures, best practices and recommendations for your industry. Traditional buildings, modular buildings, or external logistics provider? Follow the guide and compare the solutions. Subscribe to our blog to receive the latest news.